After a hard day at school, give the kids a chance to let loose with us safely in the waves – and improve their surfing and ocean skills. Our hugely popular after-school program runs every NSW school term, even during winter. 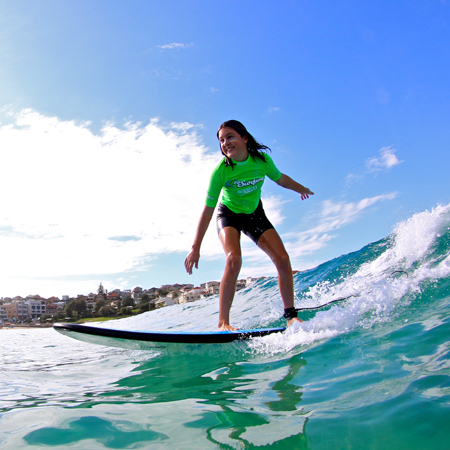 The after school program is an 8 week course, the kids will surf with the same instructor and same students each week. We have a low student/instructor ratio and will group the kids accordingly to ability. All lessons have been designed by a PE/PD/Health teacher and cover the basics from warm-up to paddling, catching waves and standing while also catering to intermediate and advanced students (technique refinement and style improvement). Your kids will also learn important surf and safety rules including info on rips, tides, sandbars and waves.